The 26th ICOLD World Congress in combination with the 86th ICOLD Annual Meeting and the ATCOLD Symposium Hydro Engineering will be held in Vienna, Austria. The conference program will include interesting study tours to high-head pumped storage plants, run-of-river plants and excellent examples of Austrian dams at high elevation in the Alps. The cultural program for participants and accompanying persons will include musical performances and excursions to some of Austria’s most impressive sites. ICOLD 2018's special venue gives our participants the chance to enjoy Austria's renowned hospitality, cultural heritage and landscape. 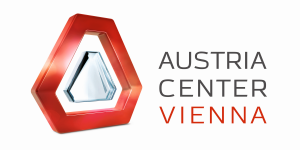 Vienna is a pleasant and safe city with outstanding conference facilities as well as comfortable international travel connections and a well-developed local transportation network.